While you can find a mortgage loan on your own, dealing with all the stress and hassles that come with doing so can be rather tiresome. This is a free service to find the best Mortgage Broker Doncaster. Make a smarter move by hiring a mortgage broker like Select a Broker! By getting our help, you’ll have a more convenient mortgage experience since we provide a steadfast service from beginning to end. We know how to look for finance products with competitive interest rates and reasonable payment terms and can therefore help you have a mortgage that best suits your needs and budget. One of our 60 licensed mortgage brokers will assist you in every step of the way. Call us on 1300 510 045 to know more about our services. You may also fill out the form on this page to get in touch with us. Once you’re on the phone with one of our staff, we will discuss how the process of loan application goes and what you need to do during the processing stage. We will entertain all your enquiries and give you relevant advice about choosing the right mortgage broker Doncaster. We have built partnerships with different providers in the industry and can assist you regardless of your budget and the type of property you want to purchase. Aside from choosing to hire a mortgage broker, another crucial step you must take is to decide where to look for a property. There’s so much to consider and so many places to choose from. That being said, you might want to check out Doncaster in Victoria, Australia. Located 15 kilometres east of Melbourne’s central business district. Doncaster is a suburb full of great life and business opportunities. It has a central area that is home to the Westfield Doncaster Shopping Centre as well as to several historical buildings and high-rise flats, while the rest of the area is occupied by extensive low-density housing. The Westfield Doncaster Shopping Centre is a well-known shopping complex in Melbourne that has gone through major renovations and extensions throughout the years. It has its own cinema as well as a wide variety of speciality stores that cater to everyone’s needs. As a matter of fact, it is noted to be one of the largest the shopping centres in Australia. Schools in the area ― including Doncaster Secondary College, Birralee Primary School, St Gregory the Great Primary School and Doncaster Primary School ― keep up with the latest innovations in education and provide excellent academic training to their students. Additionally, commuting to neighbouring suburbs or even anywhere you want to go is made easy with the convenient public bus services that are in the area. 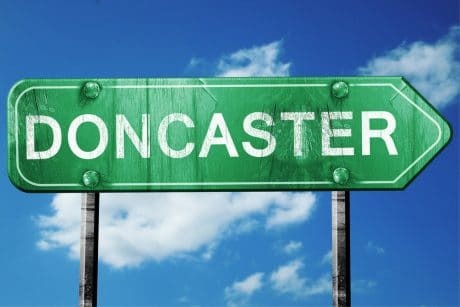 What’s not to love about Doncaster? Invest in a property in Doncaster today and let us help you throughout the whole process. Our network of brokers is available Australia-wide. So wherever you are here in the Land Down Under, you will definitely have access to our top-of-the-line service as you start a new life in Doncaster. Feel free to contact us any day of the week until 9 in the evening.